Why the WonderMix is the best stand mixer I've ever used! Why the WonderMix is the best stand mixer I’ve ever used! If you are looking for the best stand mixer that can do it all, then you need to check out the WonderMix by WonderMill. I told you about it’s awesome features a few weeks ago in another blog post and after trying some of the attachments these past weeks I really do think this is the best stand mixer I’ve ever used! The blender attachment is a powerful addition this stand mixer! My husband was out of town for work a couple of weeks ago and stopped at a Greek restaurant. He had his first ever gyro and loved it! He requested that for dinner one night. After searching for an easy recipe that used chicken (which is what I had on hand) it called for a spice grinder to grind up the spices. I don’t have a spice grinder, so I thought I would try out my-tough as nails-WonderMix blender attachment. I tossed all my spices in there, including some very hard bullion cubes. 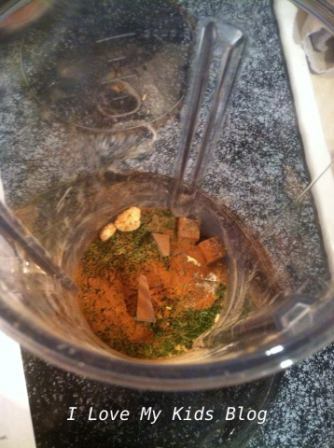 The WonderMix pulverized the spices into a nice, well blended, Greek spice mixture! I was really impressed with this blender attachment and didn’t need a spice grinder after all! Just in case you are wondering, the gyros did turn out amazing and they are on the dinner request list again, but this time by my 6 year old! The Wondermix stand mixer meat grinder attachment that can grind even the toughest meats! I live in Montana and hunting is a big part of our culture here. Every year my husband and daughters will snag us a deer and we will process it into deer jerky. We have tried several meat grinder attachments on different stand mixers, hand grinders, powered grinders, all sorts and usually end up pretty frustrated with the outcome. Deer meat ins’t like beef and we hadn’t found an affordable grinder that was up to the task. When I found out that the WonderMix stand mixer had an optional meat grinder attachment, I had to give it a try on the deer meat. It was easy to use and attach. I just turned my WonderMix stand mixer on it’s back side and secured the meat grinder attachment. It was simple to put together as well. First insert the cutting blade. Then insert the plate and twist the locking ring all the way to the right until it is tight. Then we were ready to get processing! I could not believe how well it handled the deer meat. It just came right out. The meat grinder attachment also came with a tool to push the meat down into the grinder. We ground bacon and deer meat together so the jerky would hold together better. I was so impressed with how it managed the meat that I took a video. The machine is very powerful and it does make noise, but I was so glad that I didn’t have to try to thinly slice the meat this year, ground jerky is so much easier to make! A large capacity mixing bowl makes this the best stand mixer in my book! I heard that this mixing bowl can hold up to 6 loaves of bread dough at one time. Wow, right? I really wanted to make cinnamon rolls from scratch on Saturday morning so I put the capacity of this mixer to the test! See my results! This awesome stand mixer can actually hold up to 22 cups (and I’ve even seen a video where it shows it at max capacity!) It is incredible! I honestly think this is the best stand mixer I have ever used and I love all of it’s attachments that I have used so far. The WonderMix retails for $379.00 but right now is at an introductory price of $299 with free shipping and the optional cookie whips and blender attachments are included. I will be doing a blog giveaway for this awesome WonderMix stand mixer in just a couple of weeks. If you leave a comment below on this post telling me what you like about this mixer you can earn additional entries into the giveaway! OMG, what don’t I like about it? I love that it can hold 26 cups and has such great attachments! I’m very excited about this mixer! Judging from the pictures it looks small but the capacity blew me away, also I’m very hungry for cinnamon rolls right now! I really like the versatility and the meat grinder attachment, buying my meat in bulk and using an old fashioned grinder is for the birds! I’m going to look into Wondermix more! Thank you for your wonderful review! That looks like it would be awesome to use. This looks like such an awesome kitchen tool. I’ve had separate meat grinders, blenders, etc but never one that was all encompassing. I can’t believe it can hold 26 cups!! I have been looking into a Wondermix for quite a while. It really does sound perfect. The big mixing bowl would be awesome! I like the large capacity of the bowl. 22cups!!!! How many batches of cookies could you make at once? ooohhh i love that it can grind meats. however my best part is the large capacity mixing bowl. this is so versatile i would love to have this for whipping up everyday meals. The whip and mixer attachments actually reach the bottom of the bowl is one of my favorite features because I hate having to make sure the sides get mixed with a regular mixer. I also like that it holds big jobs! Wow -what to write when I love EVERYTHING about it. Much more compact but still handles the mixing job of the large stand Mixers! So want this!! I like that you can make ground meat. Hamburger prices are way out of line. Four dollars a pound, on sale.My husband would love this! He’s been making homemade bread and pizza dough. This would make a wonderful surprise gift for him! I love ALL the features! But the dough hooks I guess are my favorite. Love this mixer! 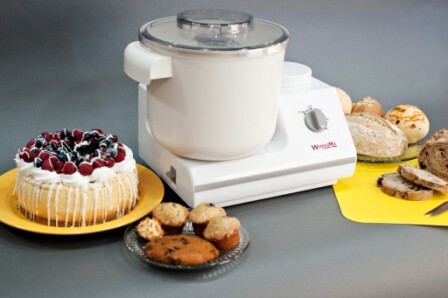 WonderMix stand mixer, the next best thing on the market for homemade goodies! I like that it holds up to 22 cups! This is such a versatile mixer, I would love to have it in my kitchen. I love how easy the meat grinder looks to use. It looks like a great mixer, and the attachments are perfect for about every family. Thanks for the review. I would not have looked at this mixer otherwise. 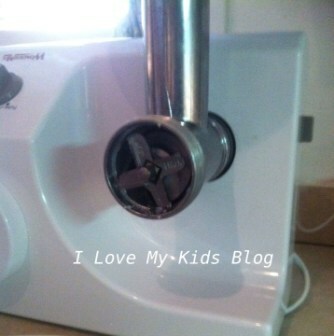 I love the blender attachment – all you need in one appliance! I like the wonder mix because it is huge…..up to 22 cups.!! 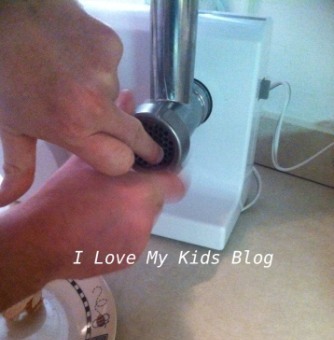 I also like that it has a blender attachment….makes for less appliances on the cupboard! Great machine!! I love the design of it ad that it has all these attachments. I could really use this. 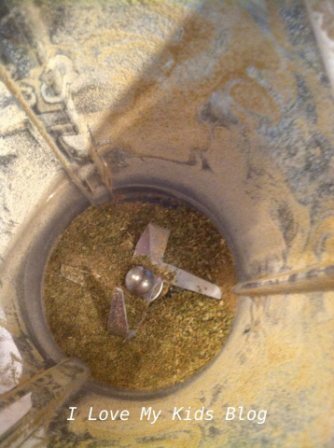 It is great to use to grind spices. I would be nice to make some fresh herbal/spice blends. A meat grinder attachment?! That might be a life-changer. A I love the huge capacity–great for making ahead big batches for the freezer. I love the meat grinder attachment! I could really use this! I love the fact that it can hold 22 cups! Awesome! I love that you can grind your own meat. That would be the attachment I would use most. I’m loving the versatility of the Wonderfixer. This mixer can do it all. And i love the volume it can hold especially being a large family that we are. Thank you for the wonderful review. I like the large capacity bowl and the blender attachment! Would save room on the counter having them both in one machine! Impressive, it can hold up to 5 loaves of bread dough and still there’s more uses for it. This looks like such a great tool for the kitchen!! I love the blender attachment; the handle on the bowl so I can hold the bowl instead of cradling it; the cookie whisk; large capacity – everything about it! I think my favorite feature is the meat grinder. That’s really cool! I love the blender feature. I am heavily into juicing and I would get a ton of use out of this mixer of making my own breads and being able to juice with the same machine. Kudos for making this machine. My favorite feature is the really large capacity mixing bowl. Awesome! I love how well it blended those spices up, and the capacity of dough that it holds is amazing. I like everything about this mixer! It has every kind of adjustment you need. The bowl is big, and the mixer does amazing things. I love the meat grinder attachment . Oh wow! 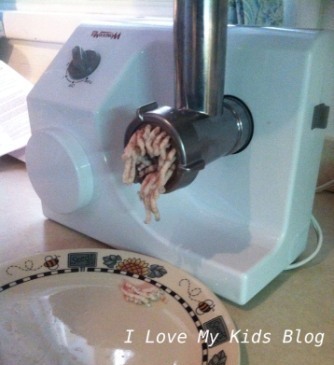 I love the Wondermix stand mixer meat grinder attachment that can grind even the toughest meats! I would love this! That is awesome looking mixer! It’s so cool that it has a grinder too, but my favorite feature has got to be the huge mixing bowl. I love the huge mixing bowl! My favorite feature of this mixer is the large 22 cup capacity mixing bowl! Clear lid and so compact! Perfect! This has so many great things about it. I can’t wait to try the mixer and all the attachments. What a fantastic appliance. I love that it also grinds meat. I love the large capacity of the bowl, and the locking lid! I love the hidden cord. Thanks for your great reviews (and the pics and videos) on the Wondermix mixer. I am trying to decide on a new mixer – this one looks pretty good and your reviews are a great help. Looks like it has so many features and looks well built. My only possible concern when comparing to something like the Bosch for instance, are the plastic parts, especially the drive shaft. Have you noticed any issues after using it awhile? I am impressed by the 22 cup capacity, and I’m glad that you mentioned it because you can tell even on the videos on their site exactly how big it is. I saw my friend’s WonderMix Kitchen mixer. At first I was a little skeptical about it until I watched her make 6 large loaves of bread that turned out super light and soft and even! My favorite feature is the no walking base! I LIKE THE LARGE SIZE OF THE MIXING BOWL. I love t/hat it can actually hold up to 22 cups and I love that it has a blender too. holy attachments! my hubby would even use this! He loves bake also! I love the fact that you can make so many different things with this, from bread, to cakes and cookies to grinding your own meat which I love for making my own burgers.. I love the huge capacity, that is amazing! I love the large bowl feature the most. I’ve always wanted to learn how to make bread and this mixer would be so great to use. I love how compact yet versatile the mixer is. I love that it is so big and that it has lots of different attachments to go with it. This is such a great mixer! I love everything about it! I need this since i don’t have anything for cooking or baking right now. Everything is in a storage unit 2000 miles away. I love the large 22 cup mixing bowl and that it’s a mixer and blender in one! I also like the fact the it’s a commercial quality stand mixer that will hold up to heavy use. I love the meat grinder part! Such a useful tool! I like the large capacity bowl. Wow, 6 loaves of bread! I could make bread for my whole family at one time! Having blender attachment is really an interesting feature in this machine. I never saw this kind before. i’m glad this can do multiple things and thus save space in the kitchen importantly. I love that it is so versatile. SO many attachments! I love the 22 cup mixing bowl & it’s locking lid system! Best feature – the large capacity bowl. I love that you can grind your own meat. I love that the attachments reach the bottom of the mixing bowl, I hate stopping all the time to scrape the sides. My favorite feature is the meat grinder. I love the bowl size (so big) and all of the attachments are really great. I love that it can hold and mix THAT MUCH dough!!!! That would drastically change my motivation to make more bread for my family!!! 6 loaves of bread at a time and hidden cord storage — be still my heart! I love the bowl capacity and the all-in-one-small-space stand for my limited kitchen counters! I like all the attachments. 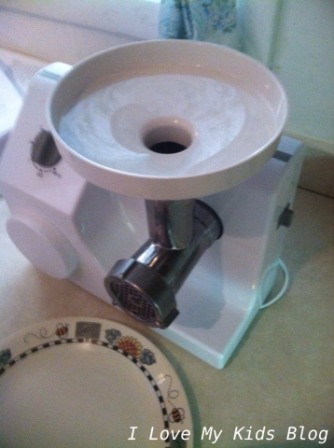 I have a blender that I love… But a meat grinder and a 22 cup capacity mixer bowl? How awesome is that? I love so many of the features that you’ve described, but I think that the capacity, and the fact that it is powerful enough to support that capacity, is my favorite feature. i love the versatility and the capacity!! I like it pulverizes spice nicely. I love how many attachments it has… just like my old Oster Kitchen Center that I’m still using. I like the large mixing bowl and all the attachments that can be added to this product. This mixer sounds AMAZING!! From what I’ve read there is nothing this thing can’t do, I love that. I love the capacity size and looks very easy to operate. My favorite feature is the mixers capacity to hold 22 cups! wowza! I love that I don’t have to constantly watch it and can do something quick while this runs. it looks very conveinent and does the job! Love the 22 cup capacity!! Also, it looks like it might take up less space than a kitchen aid which would be awesome! Outside of the 22 cup capacity love how it can blend spices. This mixer does everything. I want one so bad Please pick me!!! I love that it grinds meat! I like that it has the ability to hold 22 cups! That is a lot! My favorite part is the big mixing bowl! I make a lot of hot rolls and this would be perfect! I think the cookie whips are the best feature! I love that it can hold up to 22 cups that is great! Love that it is so powerful. How does it compare with the kitchen aid? It looks super cool! I like that it has a large mixing bowl. My favorite feature is that you can add different attachments to perform different tasks in the kitchen; thus, saving from having to purchase other small kitchen appliances to perform the same task. Awesome!!! Wow, I love that this is such a versatile mixer! You can replace it for many tools in the kitchen! I especially love the blender and the large size of the mixing bowl. My favorite feature may just end up being the meat grinder attachment. I’m amazed with all the cool features it has, they make it even more versatile and add a meat grinder attachment. This is one amazing mixer. I like the meat grinder.